One of the joys of working in the design field for more than a decade is getting the opportunity to share what you’ve learned. Often, it’s an informal process: the casual give-and-take, review-and-advise rhythm that tends to emerge in an active studio. And sometimes it’s more formal. Topp is fortunate to be located near several excellent design schools: Lund University is a quick train ride away, Malmö University is practically across the street, Hyper Island is down the road in Karlskrona, and the renowned Copenhagen Institute of Interaction Design (CIID) is just over the bridge in Denmark. 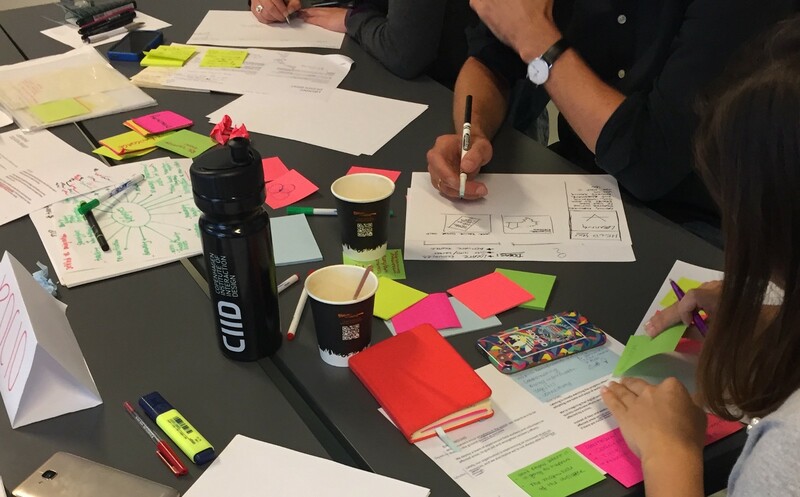 CIID regularly brings in professional designers from around the world to teach courses and workshops, and last summer, they tapped a few of us at Topp to do an intensive on the fundamentals of User Experience. Teaching is a nice change of pace from traditional design work, letting us take the pulse of an emerging design generation and see how it compares to our own experiences. But one of the greatest benefits of teaching, for someone who usually doesn’t, is the chance to step back and look at the things you already know. There’s nothing like teaching someone else to crystallize your own observations and insights, especially in a profession you’ve been immersed in for so long. 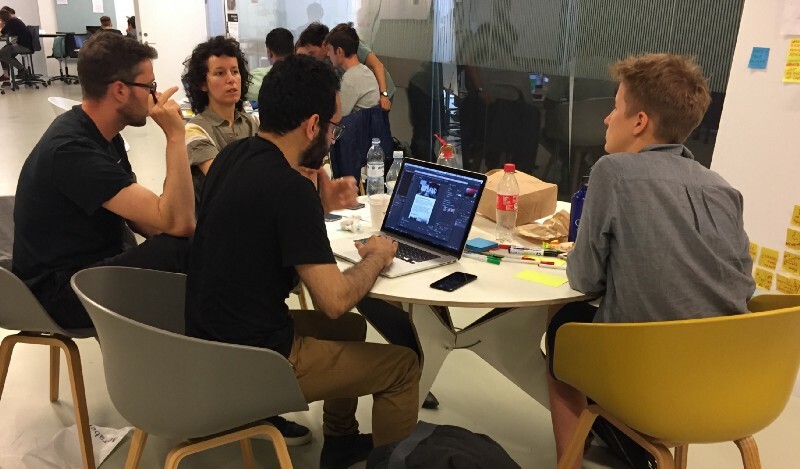 In the case of this CIID summer program, the topics were largely obvious to most working designers: the importance of research, the value of iterative prototyping, the shifting role of technology in people’s daily lives. But a lot of the details were surprising. As an extension of this learning experience (for me), and in the interest of sharing some of these hard-won insights, here are a few of the less obvious themes highlighted during that week in August. 1 — Design doesn’t always start with a problem. We often talk about design as a problem-solving effort, and sometimes it is. But ask yourself: what problem was the Post-it solving when it was first introduced? Or Instagram, for that matter? There was no clamoring demand for either, or even an obvious unmet need. Yet both turned out to be incredibly useful, both addressed a deeper hidden need, and they ultimately shaped the way we communicate at a global scale. Besides solving problems, good design is also about recognizing untapped opportunity, often in a category that’s still maturing. One of the most interesting projects Topp worked on last year was all about eye-tracking, a technology that’s been around for years, but has been largely confined to user testing and accessibility features. But by mapping eye-tracking affordances onto needs that users already have, we were able to come up with some extraordinary new offerings in a relatively short time. Eye-tracking, as seen from the computer’s point of view. Designers, it turns out, can make incredibly useful things by asking what a given technology could do that it isn’t doing yet. But finding these opportunities requires more than just observing users and looking for pain points. It takes vision and imagination: two things designers discuss a lot more than they actually practice. 2 — Just because it’s true doesn’t mean it’s useful. “Find Interesting Truths” is a basic principle of design work at Topp — something so fundamental that it permeates our work, our presentations, and even large posters in our studios. The “Truth” part of the statement is fairly obvious: there’s not much point in basing your design on something that’s false, so design researchers tend to be pretty good at verifying their findings and insights through multiple rounds of investigation. The “Interesting” part is what many designers miss. Traditional marketing research relies heavily on things like demographic insights and purchasing trends, because they’re numeric and therefore easy to explain and to prove. But having a pile of provable facts doesn’t prepare you to do good design work. Good design research is picky, focusing on the truths that will actually make a difference to the project. Knowing that your target users are mostly college educated and take transit to work, for example, isn’t that interesting if you’re designing a kitchen appliance. Knowing how they feel about food, and the role it plays in their life — that’s interesting. Don’t sacrifice a useful insight because it’s harder to pin down. 3 — Every iteration should increase fidelity. Most designers agree at this point that prototypes are crucial to doing good work, but there’s less consensus on how detailed they should be. Established wisdom has long said prototypes should be somewhat sketchy, so that people still see them as changeable. User experiences are much higher quality these days, though — especially digital ones — which leads to a kind of cognitive dissonance when you present users with low-fidelity prototypes: many don’t know how to react to something sketchy when everything they use in real life is beautiful and clean. In the current era, a better approach is to evolve towards high-fidelity prototypes as quickly as you can. The best way to show someone that a prototype is changeable is to change it while they watch, something that’s now possible with modern prototyping tools. 4 — The best ideas come after you’ve made something. For design students, one of the hardest habits to break is our tendency to think a problem out exhaustively before actually starting to develop a solution. The more we practice design, the earlier in the process we start making things. This is one reason why so many designers are constantly sketching, or keep a familiar digital tool open and running while they’re exploring a problem: they know making ideas tangible always leads to more ideas, and that the new ones are often better. Working like this takes a leap of faith, that your future understanding will be better than your current one. But it’s a faith that’s repeatedly justified through results. Here’s some video from a project where we helped Stockholm Transit (SL) redesign their travel app; the real design breakthroughs didn’t come until we’d built several prototype apps, and started using them ourselves and in conjunction with actual transit users. This lesson is surprisingly easy to forget, though. One of the great things about teaching students to “prototype faster” is that it forces us to confront our own occasional reluctance. No matter how long you work as a designer, it’s still tempting to keep discussing and analyzing, even when it’s no longer useful, and it’s always daunting to make the first thing. But great design solutions often come from making things before you feel entirely “ready”, and it’ll always be that way. 5 — Make people love it before they’ve tried it. The more project work I do, the more effort I put into communicating the value of design solutions, to clients and to potential users. We often hear that “designers are storytellers”, but we still get hung up on the idea that a great design solution will automatically attract interest and engagement — that telling a design’s story is wasted effort, because it all comes down to how good it is. This is simply not true. 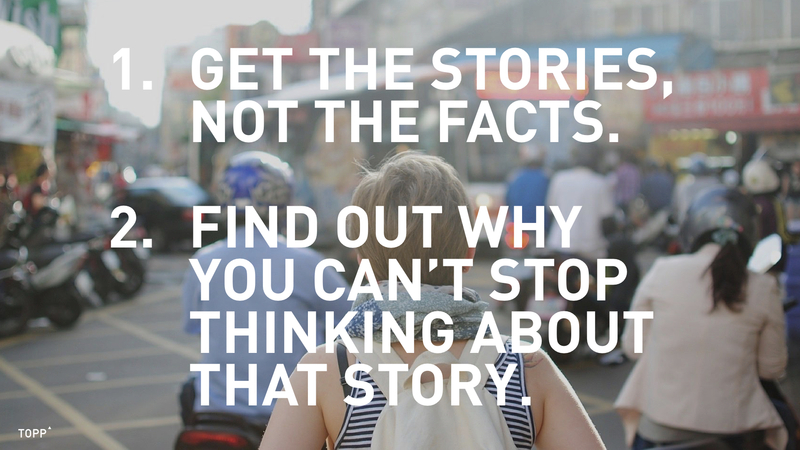 No amount of storytelling can save a bad design solution, but many great solutions fail because people don’t have a way to understand them or talk about them. Creating the story of a user experience, through onboarding, unboxing, advertising and other communication efforts, is probably the most neglected task in modern design. The Topp-designed platform for Samsung’s line of fitness-tracking smartwatches. When Topp worked on the wearable fitness tracker platform for Samsung that eventually led to the Gear Fit 2, the technology was more or less fixed, but the story was wide open. By focusing on creating a sense of uniqueness, we were able to push the design effort in a more interesting direction than if we’d just stuck to functional challenges, and ended up with not just a great design platform, but a great story to tell. For a project to be truly successful, you have to build the story of the experience as you’re designing it, so that you’re ready to share how it works and what makes it so great. Do this effectively, and you’ll have an army of supporters before it even hits the market. Go and teach a class if you ever get the opportunity. It’s more than just a chance to share what you know. If you’re open to the possibility, you may just find out that the person who learns the most is you.